Have you ever wanted to see your face on the body of a celebrity? What about put pictures of your friends and family in different natural environments? Well now you can do this quickly and easily with Funny Photo Maker for Windows. Essentially, Funny Photo Maker is a photo editing tool  that allows novices to use a bunch of pre-set filters, modifications, etc. to edit photos. 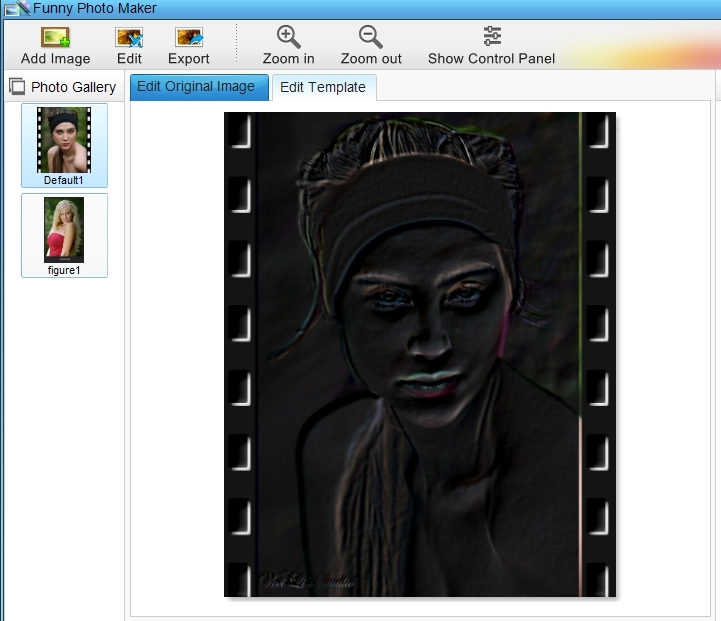 Just like other programs similar to Funny Photo Maker, this is a photo processing tool that is easy to use. This program is geared towards people who are not talented using other programs like Photoshop. Now you can merge pictures of your family and friends with the bodies of others. You can place their pictures in different environments. In general, this is a user-friendly photo tool that can help you create fun new photos. Can read JPG, BMP, PNG, etc. Easily upload your pictures to social networking sites like Facebook, Twitter, etc. If you’re looking for an easy way to edit your photos, Funny Photo Maker is for you. This program allows you to edit your photos in a number of ways for free. Although this is a fun and easy-to-use program, it is far from perfect. The people who are going to notice this the most are the ones who are used to more advanced photo editing software. If you are looking for the bare minimum in photo processing, this will get you by. In fact, the name of the program says it all. It is a Funny Photo Maker. This is not going to make great processed photos like some magazines use. This is made to be used by people who want to put pictures of their grandchildren in cute frames. Messing around with the program is fun for a bit, but if you are looking for a deep experience, you are not going to find it here. On a positive note, the things that the program does do, are done well. You can upload tons of different picture formats, including (but not limited too): BMP, PNG and JPG. I listed these just because these are the file formats that I chose. The program comes with 25 different photo frames that you can use. This includes things like billboard signs, calenders and so on. They promise to add more frames in the next version, which is also going to be free. You can also put your face or your friends’ faces on other people. This is fun, but doesn’t work all that well. Usually the faces do not fit at all (even after adjusting them). However, kids are likely to have a blast with this. My favorite part of the program was the 2D templates. Here you can turn pictures into water and oil paintings. You can also include a number of effects like water, snow and so on. The program also helps you easily upload the photos you make to social networking sites like Facebook, Tumblr, Twitter and Myspace. It will also help you upload your photos to other sharing sites like Flickr, Yahoo and SmugMug. Overall, the program does what it says it will do. Don’t expect to be blown away by Funny Photo Maker, but it will get the job done. I was a little let down with the lack of options, but it is nice to know that more updates will be coming out for the program at a later date. Either way, for a free program it is worth a look.